UPDATE: The medical helicopter has left the scene. TRAFFIC UPDATE: The medical helicopter has left the scene. At least one lane of traffic should be flowing shortly. 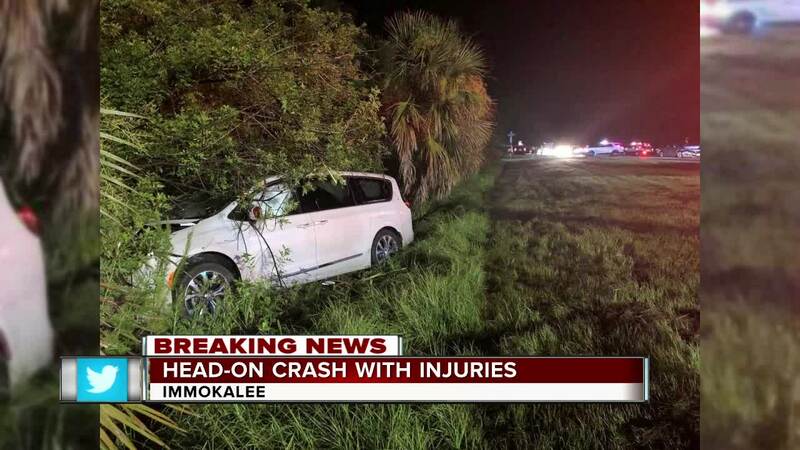 IMMOKALEE, Fla. ---- Crews are on the scene investigating a head-on collision Saturday night. According to the Immokalee Fire Twitter account, the incident happened near State Road 82 and Corkscrew Road. One person has been declared a trauma alert and three others were injured. MedFlight will be arriving on the scene shortly. Drivers can expect a delay when traveling through the area. TRAFFIC ALERT: Our units are responding to a two-vehicle head-on crash near SR-82 & Corkscrew Rd. Use caution in the area & expect delays.